The big question: who is going to win the 2013 Stanley Cup? 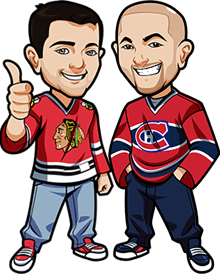 Well hopefully my NHL 2013 Stanley Cup Winners Betting Tips will help you make some money! How good is the team in question? Well that’s an obvious question when betting on who will win the Stanley Cup because very rarely does a bad team ever stand a chance of making it far in the playoffs or even to the playoffs at all. It would be great to go and pick the team with the worst chance of winning it hoping for a huge payout but are you just throwing your money away? Did the team make any significant roster changes and if so how will that affect them this year? Will they be better or worse off because of it? Of course adding talent doesn’t hurt a team but will the new player mesh well with the other? Well chemistry plays a huge role in a teams success which brings me to the last and most important factor when betting on who will win the Stanley Cup and that is..
the Lockout. The mention of it makes me cringe. Yes I know it’s settled and we can get on with our lives now but the lockout shortened season should and will greatly effect the team you want to bet on to win the cup as a shortened season of 48 games is vastly different then the typical 82 games. Will the time off help younger players and veterans or will the time away slow them down in getting up to the regular tempo? Did any players play in the AHL or KHL and if so how did they do and were they injured while doing it? How greatly will a short winning or losing streak affect the overall record and standings? There’s a lot of questions that should factor into your decision when betting on the Stanley Cup winner. Thankfully I’ve made things easier for you. I’ve handpicked 5 teams who I believe should be the only ones to consider when betting on who the Stanley Cup Winner will be. A bet on either 1 of these teams is a good bet and a good value for money. I’ve also included the Stanley Cup Winner Betting Odds for that specific team – again, making things nice and easy by picking out the sportsbook with the best Stanley Cup Winner Betting Odds so you get the most value for your money. The best and safest bet to win the Stanley Cup has got to be the Pittsburgh Penguins and over at Bodog the betting odds for them to win the Stanley Cup are at an amazing +800. +800 is huge value. In my opinion they should be around +500-+600 so when its at +800 it is fantastic value. Here’s why I believe the Penguins are a strong contender, and should be priced at +500 to win the Cup. A healthy year from Sidney Crosby will go along way towards they success of the Pittsburgh Penguins but as we saw last year they don’t rely solely on Sid the Kid as they have plenty of other options to pick up the slack if he or any other of the teams big game stars go down. Up front their depth is unreal to go along with Crosby they also have Evgeni Malkin, James Neal, Chris Kunitz, even the lose of Jordan Stall doesn’t really hurt them as they recieved a sutable replacement in Brandon Sutter. On defense they are also strong with Kris Letang, Brooks Orpik, Paul Martin and Matt Niskanen. And finally in nets they have the big game goalie in Marc-Andre Fleury but what happens if he goes down? Well they insured that they would be fine should something happen to Fleury when they acquired Tomas Vokoun who, although a few years older then Fleury, is every bit as reliable. The Pittsburgh Penguins are one of the top contenders to take the Stanley Cup. At +800 odds however, this one is really a no-brainer. It’s like flipping a coin yet you’re getting 70% odds on the win. Before the odds change, bet the Penguins today at Bodog, currently the only online sportsbook offering this line. After years of being good enough to win the cup but always falling short, will this lockout shortened year finally be the year the Vancouver Canucks have success in the playoffs and finally win the Stanley Cup? Well only time will tell but they do have all the pieces to at least have a shot at it. SO if betting on the Vancouver Canucks to win the Stanley Cup then be sure to take advantage of 888sports unbelievable +1100 odds. Another team with a decent shot at winning the cup and at NordicBet they have the betting odds of the New York Rangers winning the cup set at +1050!! UNREAL!!! This team is definitely going to challenge for the cup and those betting odds are to appealing to not take advantage off and believe me this team is for real. Well it’s hard to bet against the New York Rangers when they did so well last year and then they went out and plucked the biggest fish of the free agency pond in Rick Nash so it’s easier to bet on them to win the Stanley Cup then to bet against them. To start with they have Henrik Lundqvist in goal who last year won the Vezina trophy awarded to the leagues best goalie. And the group of defenseman they have are also quite solid with Dan Girardi, Michael Del Zotto, Ryan McDonagh and Marc Stall overall a young talented group who should flourish during the shortened season. But the forwards the Rangers have are the real bread and butter of this team. Aside from the newly acquired Rick Nash the also have Brad Richards, Ryan Callahan, Marian Gaborik as well as a bunch of other players who know the role that is needed of them and play the role assigned to them well. Think the Rangers can win the Stanley Cup? Then bet on the New York Rangers to win the Stanley Cup! NordicBet has to be the place you go as they offer the best odds you will find anywhere for them to win the Stanley cup at +1050. Still can’t believe that value. Bodog has the betting odds set at an outstanding +1200 for a team one year removed from winning the Stanley Cup which is great value. Previous winners of the Stanley Cup with as few changes as the Kings would be around +750. It’s a safe bet to assume that in today’s game of hockey that teams who win the cup the previous year are highly unlikely to repeat but with all players returning from the team the won the Stanley cup last year and with this being a lockout shortened season it also a safe bet to say that this wont be like every other year and that the Kings stand as good a chance as any team of repeating and winning the Stanley Cup. With two goalies who could start on virtually any team in the league with Jonathan Quick and Jonathan Bernier they are set should one go on a losing streak or fall to injury. On defense they are led by Drew Doughty, who at only 23 years old has a Stanley Cup and a Olympic gold medal to his name, behind Doughty they have a solid and reliable group with Rob Scuderi, Willie Mitchell and Matt Greene. But up front is where they really shine and this is a long list of talented forwards: Mike Richards, Jeff Carter, Anze Kopitar, Dustin Brown, Simon Gagne, Justin Williams, Dustin Penner the list just keeps going. This is one of those bets where the odds practically dictate you need to be on them. Would you really put 12 other teams above the LA Kings to repeat? I don’t think so. So get on the odds at Bodog before the Kings storm the season and drastically reduce their Stanley Cup Winners Betting Odds. Click here.